Sune Liisberg is an External Lecturer of philosophy of psychology and intercultural communication at Aarhus University. He earned his Ph.D. in philosophy and the history of ideas in Aarhus in 2008, and has since published on a variety of topics primarily within the fields of existential philosophy and phenomenology. Esther Oluffa Pedersen is Associate Professor of philosophy at the University of Roskilde. She has published several articles on trust, most recently “A Kantian Conception of Trust” in Sats. Northern European Journal of Philosophy (2013), and more broadly within the history of philosophy and philosophical anthropology, including the book Die Mythosphilosophie Ernst Cassirers (Königshausen & Neumann, 2009). Anne Line Dalsgård is Associate Professor at Aarhus University. Based on periodic fieldwork in Northeast Brazil since 1997, she has published extensively on motherhood, youth, violence, affect and temporality. She is author of the book Matters of Life and Longing: Female Sterilisation in Northeast Brazil (Museum Tusculanum Press, 2004; Editora UNESP, 2006). 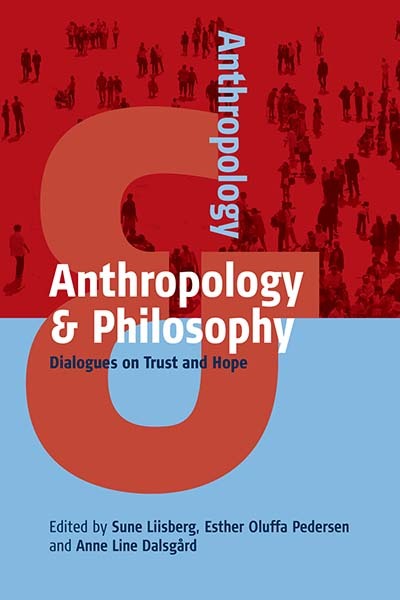 Epilogue: Anthropology and Philosophy in Dialogue?